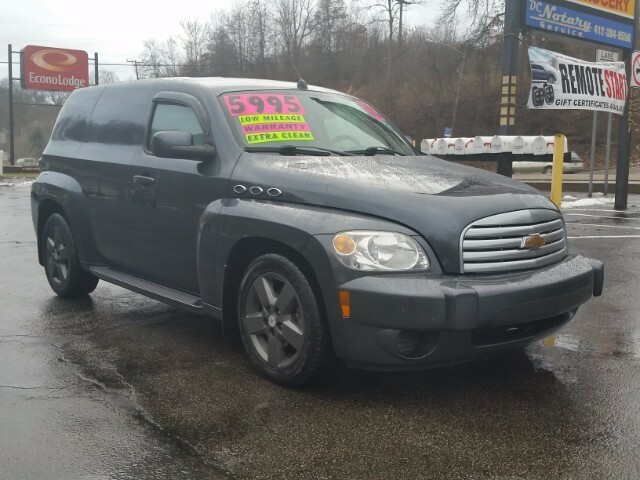 For your consideration is this 2009 Chevrolet HHR LS. All options and equipment work properly and the tires are very good. This vehicle is clean and attractive. Two of the hubcaps have some curb rash. It does have minor cosmetic blemishes, but overall the HHR looks really nice. It is quite a good driver - on the road or around town. This was a GSA vehicle. Call Brooks Grimes at (910)488-9701 to see this HHR. Thank you. Tony Anderson or David Clinger (888) 431-8595 1300 East Main St. Grand Prairie Texas 75050 ? ? ? ? 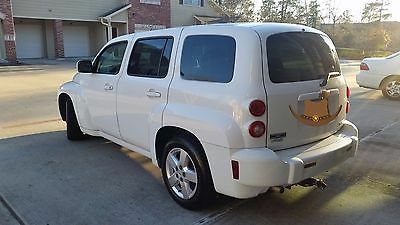 2009 Chevrolet HHR Panel Sport Utility LS Vehicle Information VIN: 3GCCA85B69S576443 Stock: 34518R Mileage: 112,258 Color: WHITE Trans: AUTOMATIC Engine: 2.2 Ecotec MPG: 22 City / 32 Highway Drivetrain: FWD ? ? ? ? 1 of 54 ? View Large Images ? ? Description Power windows, locks, and mirrors Air conditioning, cruise, and tilt Competitive in house financing available! Options and Standard Features Basic Information Stock Number: 34518R VIN Number: 3GCCA85B69S576443 Style Name: Sport Utility LS Make: Chevrolet Model: HHR Panel Model Year: 2009 Vehicle Type: Van Vehicle Trim: LS Interior Color: WHITE Exterior Color: WHITE Body Type: SUV Engine MPG Automatic City: 22 MPG Automatic Highway: 32 Engine Description: 2.2 Ecotec Fuel Type: Gasoline Fuel Induction: Sequential MPI Valves Per Cylinder: 4 Aspiration: Normal DriveTrain Driven Wheels: Front-Wheel Transmission: AUTOMATIC Wheels Rims: Steel Wheels Spare Rim Type: Steel Drive Train Type: FWD Suspension Independent Suspension: Front Stabilizer Bar: Front And Rear Instrumentation Clock External Temp Low Fuel Level Tachometer Trip Computer Roof and Glass Front Wipers: Variable Intermittent Privacy Glass: Deep Rear Defogger Rear Wiper: Fixed Interval In Car Entertainment Antenna Type: Integrated Roof Audio System: XM AM/FM/Satellite Speakers: 6 Seats Drivers Height: Manual Seating Capacity: 2 Front Seat Type: Bucket Upholstery: Cloth Convenience Center Console: Full With Storage Cruise Control Cupholders: Front And Rear Door Pockets: Driver And Passenger Power Outlets: 3 Seatback Storage Steering Adjustment: Tilt-Adjustable Steering Power: Speed-Proportional Electric Power Steering Power Mirrors: Power Remote Power Door Locks Windows: Power Windows Satellite Communication: Onstar Safe & Sound Comfort Air Conditioning: Manual Air Filtration: Interior Air Filtration Trunk Lights: Cargo Area Light Door Trim: Metal-Look Mats: Carpet Front Reading Lights: Front And Rear Shift Knob: Urethane Steering Wheel Trim: Urethane Vanity Mirrors: Dual Vanity Mirrors Features Bumpers: Body-Colored Door Reinforcement: Side-Impact Door Beam Safety NHTSA Passenger Grade: Excellent NHTSA Driver Grade: Excellent NHTSA Side Impact Front Grade: Excellent Turning Circle: 36 ABS: 4-Wheel Head Airbags: Curtain 1St And 2Nd Row Anti Theft System Daytime Running Light Engine Immobilizer Headlights Auto Delay: Auto Delay Off Headlights Dusksensor: Dusk Sensing Front Headrests: Manual Adjustable Safety Stability Control Driver and Passenger Airbag Stability Control Door Reinforcement: Side-Impact Door Beam Towing and Hauling Tie Downs: Cargo Tie Downs Doors Rear Door Type: Liftgate Side Door Type: Access Panel/Door Dimensions Front Head Room: 39.6 Inches Front Hip Room: 50.1 Inches Front Shoulder Room: 53.5 Inches Front Leg Room: 40.6 Inches Luggage Capacity: 63 Cu.Ft. Length: 176.2 Inches Width: 69.1 Inches Height: 63.1 Inches Wheelbase: 103.5 Inches Ground Clearance: 6.3 Inches Max Gross Vehicle Weight: 4,173 Lbs. Curb Weight: 3,155 Lbs. Vehicle Financing Century Trucks & Vans offers multiple financing solutions for your convenience. We strive to create a true one stop shopping experience by financing what we sell through competitive in-house financing programs and multiple outside lending sources, including ALLY. If you have already secured financing through your own bank or credit union, we will be happy to guide you through the payment process. Please give us a call to discuss all of the financing options available to you. To get started, please click the Online Credit Application link below. 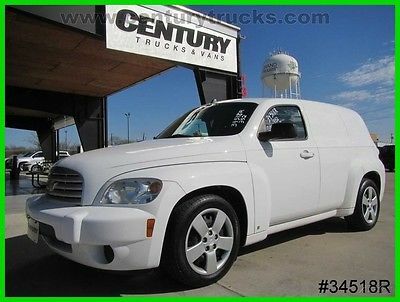 Contact Us Today Century Trucks & Vans 1300 East Main Street Grand Prairie, TX 75050 Tony Anderson or Ladd Wieslander Call (888) 431-8595 Century Trucks and Vans Thank You Thank you for taking the time to view our vehicle. 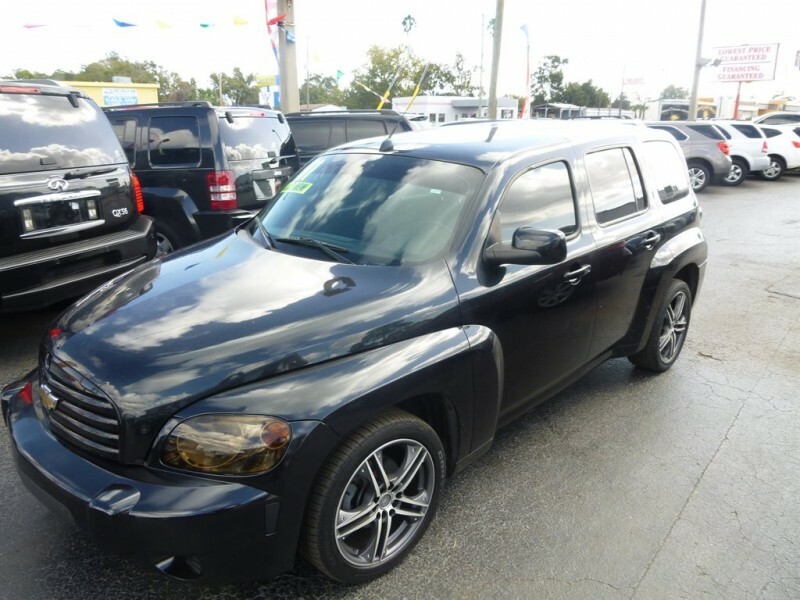 We appreciate your interest and look forward to assisting you in the purchase of your next truck or van! 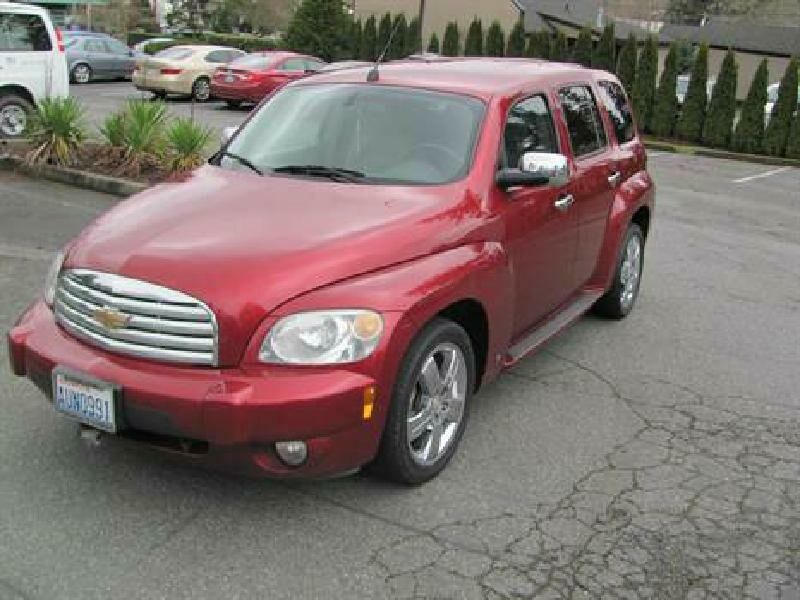 If you have any questions or would like to discuss this vehicle in more detail, please don't hesitate to give me a call. About Us Century Trucks & Vans is a family-owned independent dealership located in Dallas, Texas with the largest selection of used commercial trucks & vans in the southwest! Over 300 hard-to-find flatbeds, crew cabs, utility and service body trucks, bucket trucks, 4x4 diesel pickups, box trucks, passenger, cargo, cube, and Sprinter vans - any type of work truck or van you can imagine. Century Trucks & Vans has the vehicle you need at a fraction of the original price, as well as straight forward, hassle-free financing. We understand credit is tight and offer competitive in-house financing with on the spot decisions! Terms Notice to Bidders: Texas is a title holding state. Some titles take up to 21 days to receive from lien holders. Titles that are paid for by cashiers check are held up to 14 business days for checks to clear. We reserve the right to end this auction early for any reason and to sell the car to our walk up traffic at any time before end of auction. Please call for further details. Payment Types: Century Trucks & Vans offers multiple financing solutions for our customer's convenience and to create a true one stop shopping experience. We finance what we sell with our competitive In-House Financing, multiple bank options and Ally financing. If you are already pre-approved through your own bank or credit union, we will be happy to assist you or work with your banker to make your transaction as smooth as possible. Give us a call and we will be happy to explain all of your financing options or click on our Online Credit Application link to follow the simple steps for fast approval. Cash for in person transactions, Certified Funds, Institutional Financing, US Dollars. Fees: Out of State: Century Trucks & Vans does not collect sales tax, title or license fees. Buyer is responsible for their own registration as well as all associated taxes and fees in their home state. All buyers pay a $150.00 Documentary fee. Taxes and Fees: In state buyers will be charged state and local taxes, title, registration, and documentary fees. All sales transactions must be completed within 5 days of auction close. Deposit: We require a $500 deposit within 24 hrs. of winning the auction. Please call the dealership to make arrangements for payment. Terms: Auction Policies: Customers with zero or negative feedback on eBay Motors must contact us prior to bidding. Otherwise, we reserve the right to cancel your bid. Understand this is only to protect the integrity of the auction. Winning bidder must contact the dealership within 24 hours of the auction close and the purchase transaction completed within 5 calendar days. We reserve the right to re-list or sell the vehicle in the event of a non-paying bidder. Buyer Pickup: We are conveniently located within 20 minutes of both DFW International Airport and Dallas Love Field. Since flight arrival times are often unpredictable, we recommend taking a taxi from the airport to our dealership. We will gladly reimburse your cab or uber fair upon presentation of the receipt. $5.00 maximum tip allowance. Disclaimer: Our reputation is very important to us and we strive to ensure that you enjoy the best purchasing experience possible. You may have this vehicle inspected by a mechanic of your choice and at your expense prior to the end of the auction. Please be advised that our trucks and vans are used and may have minor imperfections not seen in photos. In addition, equipment such as spare tires, jacks, manuals, extra keys, etc. 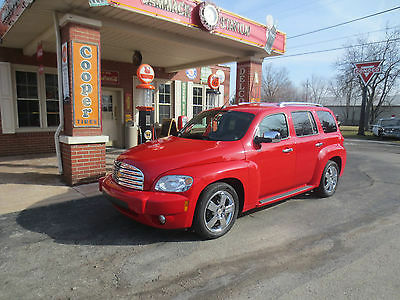 are not always present in pre-owned vehicles. If you do not see pictures of these items in the listing, DO NOT assume that they are included. Please contact us for more information on any of these items. Please contact Tony Anderson or Ladd Wieslander at 888-431-8595 for more information on any of these items or for a detailed walk around description. 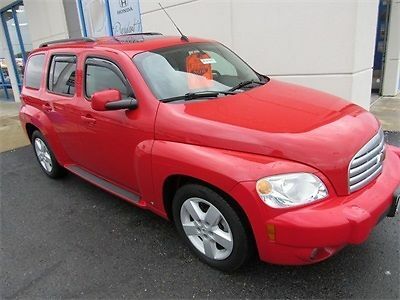 If you purchase this vehicle without calling for a walk around description, no refunds or price adjustments will be made. Thank you for your interest and please visit our eBay store to view our entire inventory! Contact Century Trucks and Vans 1300 East Main St. Grand Prairie Texas 75050 View Map Ask for:Tony Anderson or David Clinger Contact: ?Contact Us Main:(888) 431-8595 Hours Mon-Fri:08:30 AM-06:00 PM CST Saturday:09:00 AM-04:00 PM CST Sunday:Closed ?Directions to Dealer ?Contact Us Copyright © 2017 Auction123 - All rights reserved. - Disclaimer +- Auction123 (a service and listing/software company) and the Seller has done his/her best to disclose the equipment/condition of this vehicle/purchase. However, Auction123 disclaims any warranty as to the accuracy or to the working condition of the vehicle/equipment listed. The purchaser or prospective purchaser should verify with the Seller the accuracy of all the information listed within this ad. 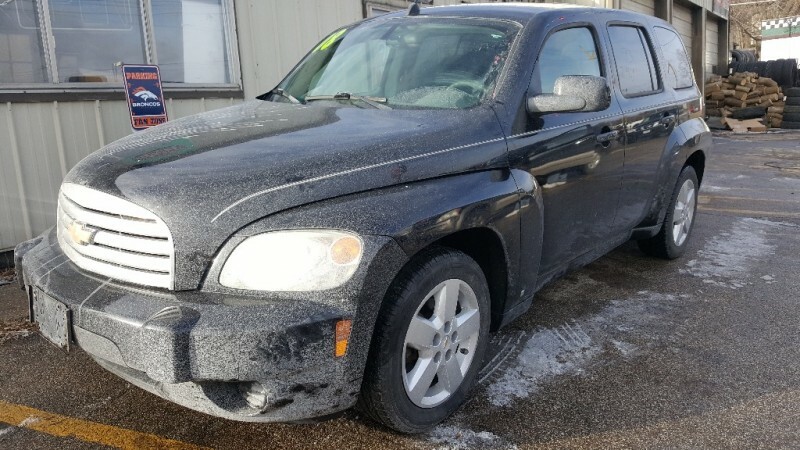 Selling a Vehicle? Create Professional Listings Fast and Easy. Click Here! Right SUV! Right price! Buckeye Honda means business! 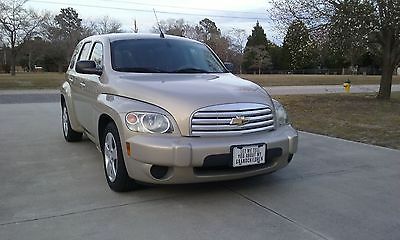 2009 Chevrolet HHRLT. 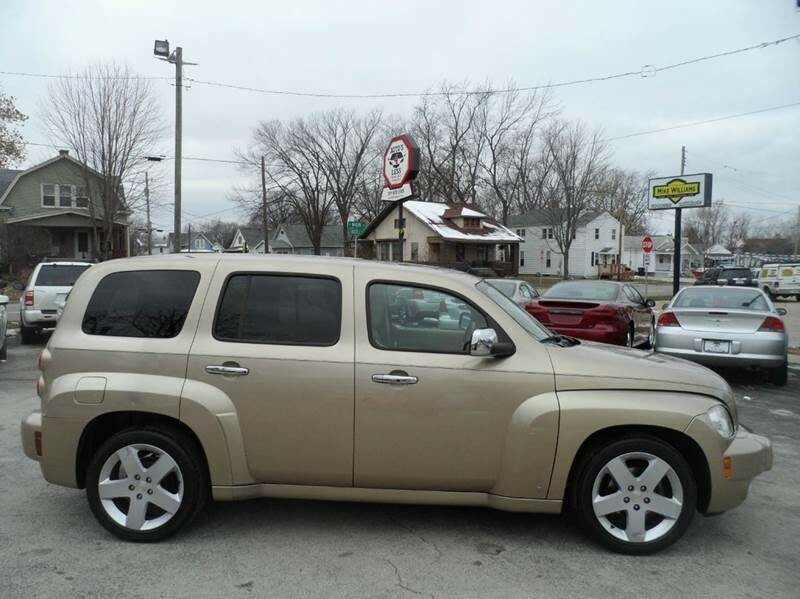 Come take a look at the deal we have on this handsome 2009 Chevrolet HHR. It is nicely equipped with features such as 16" Fascia Spoke Painted Sterling Silver Wheels, 3.63 Axle Ratio, 6 Speakers, ABS brakes, Air Conditioning, AM/FM radio: XM, AM/FM Stereo w/CD Player/MP3 Playback, Bumpers: body-color, CD player, Child-Seat-Sensing Airbag, Cloth Seat Trim, Delay-off headlights, Driver door bin, Driver vanity mirror, Driver's Seat Mounted Armrest, Dual front impact airbags, Electronic Stability Control, Emergency communication system, Front anti-roll bar, Front Bucket Seats, Front reading lights, Front wheel independent suspension, Fully automatic headlights, Illuminated entry, Low tire pressure warning, MP3 decoder, Outside temperature display, Overhead airbag, Panic alarm, Passenger door bin, Passenger seat mounted armrest, Passenger vanity mirror, Power door mirrors, Power driver seat, Power steering, Power windows, Radio data system, Rear anti-roll bar, Rear reading lights, Rear window defroster, Rear window wiper, Remote keyless entry, Security system, Speed control, Speed-sensing steering, Speed-Sensitive Wipers, Split folding rear seat, Tachometer, Tilt steering wheel, Traction control, Trip computer, Variably intermittent wipers, and XM Radio. New Car Test Drive called it "...a pretty slick ride that lends itself to personalizing and customization regardless of the configuration chosen. 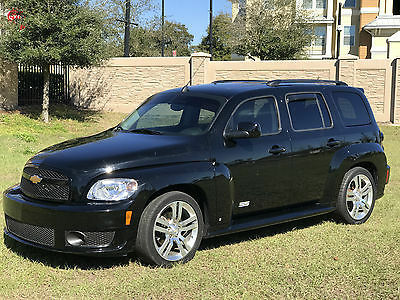 It is a nostalgic hauler for people who want something different..." When you say quality, Chevrolet comes immediately to mind, and this Chevrolet HHR is no exception. Awarded Consumer Guide's rating as a 2009 Recommended Compact Car. 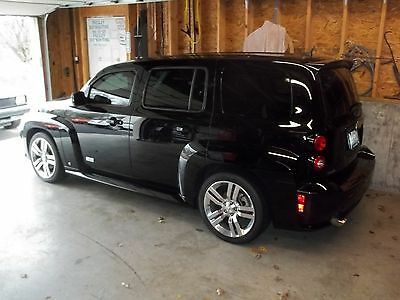 Up for sale is my 2011 Chevrolet HHR. 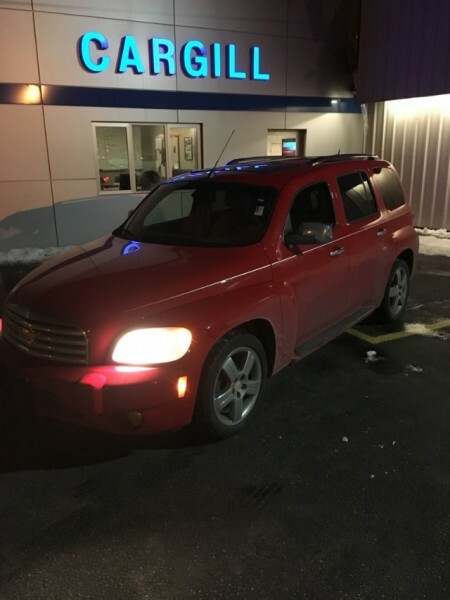 This white HHR is an LT model and loaded with power seats, power windows, power locks, power mirrors, cruise control, and a CD player with auxiliary MP3 player jack. This 2.2 liter 4 cylinder HHR is rated for 22 MPG city and 32 MPG highway. 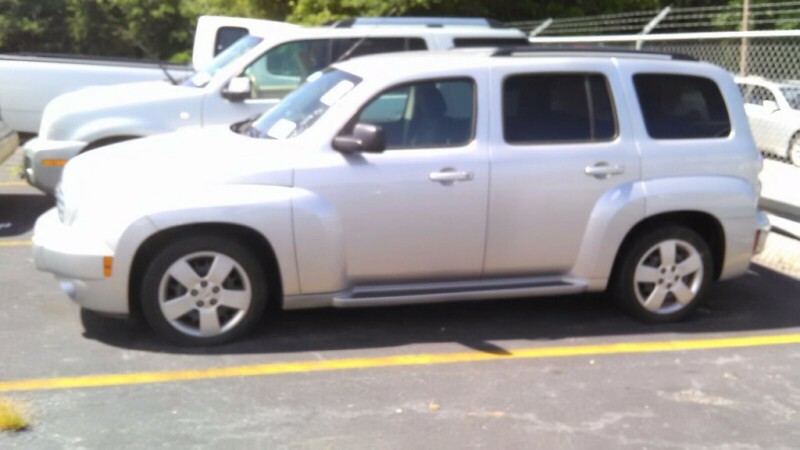 New Made in the USA BF Goodrich tires were installed less than 1,000 miles ago and this vehicle was just serviced. Everything is stock with the exception of a trailer hitch and trailer light kit, as well as a (removable) full length rubber cargo mat which makes this HHR great for hauling large items. 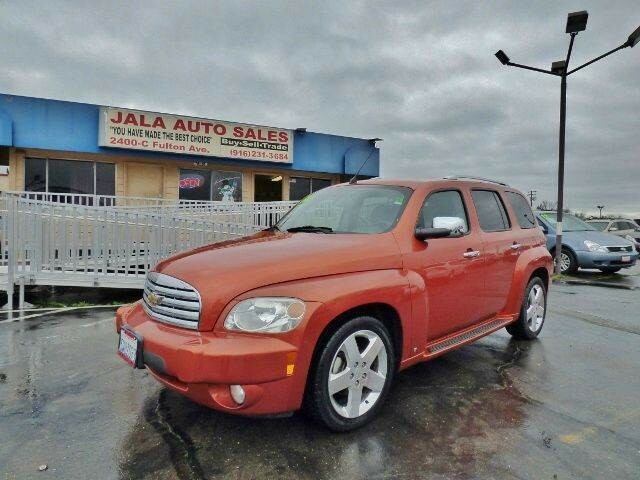 This vehicle has a clean and clear CarFax and title.